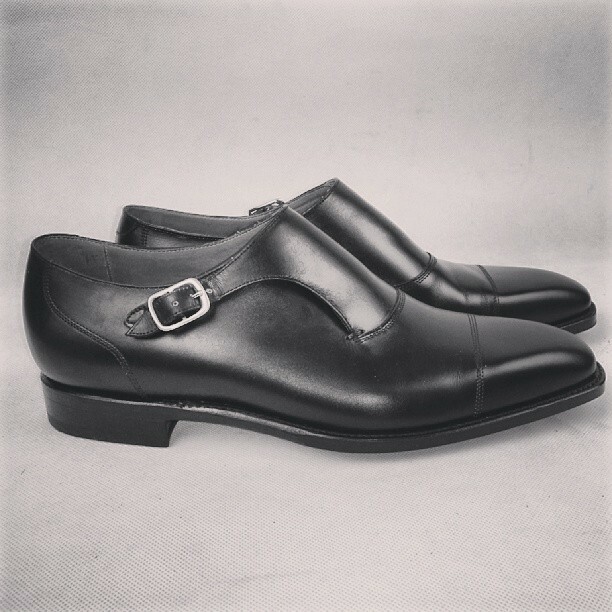 For the last few years double monks have been all the rage in the shoe industry. 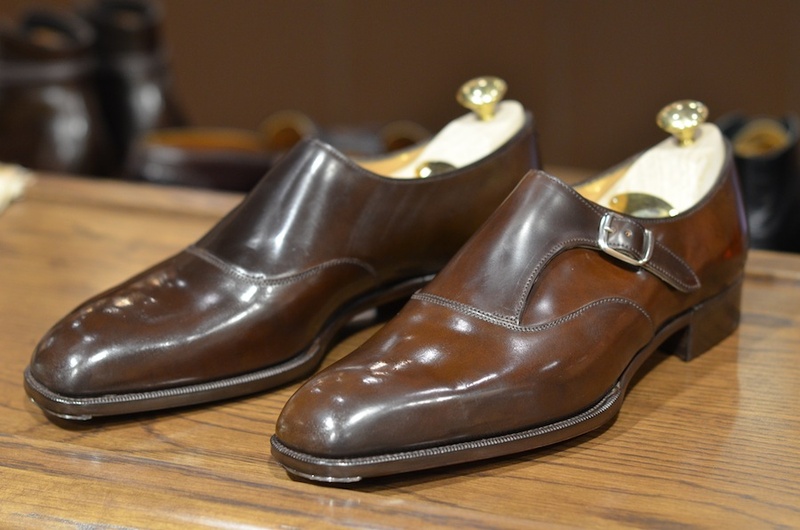 And while I think that double monks will be popular for a while still to come, I do believe that the single monk will soon start to replace it as the dominating monk of the shoe industry. For me, personally, I have always like a single monk better than a double. It just seems so more much sleek and elegant. Don’t get me wrong, I think double monks are great and enjoy them like any other, but maybe it’s just my personality of not fancying what everyone else does. It’s my natural inclination to route for the underdog! Either way, I do think that the over-popularity of the double monk has run it’s course and that the time of the single monk is about to start. 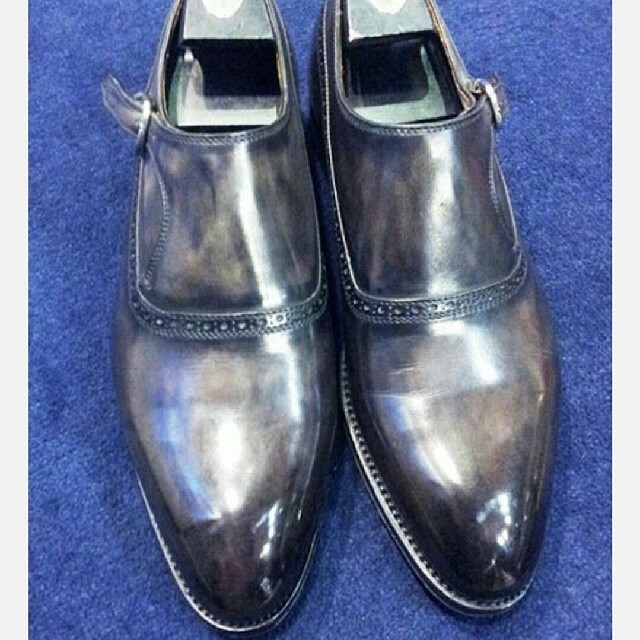 The Edward Green ‘Oundle’ has probably been the leading single monk of the shoe industry. It’s not necessarily the most beautiful (at least not for me) but is definitely the staple model, the one that sets the bar and the one that many other companies attempt to re-create, even myself, but of course adding their very own twist to it. It’s just so sleek and elegant and due to that allows for more versatility in dressing smarter where as the double monk, for some, can only be taken so far up the ladder of smart dress. 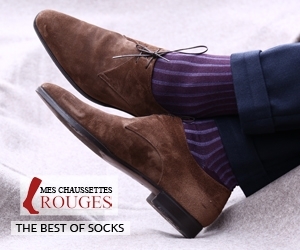 The single monk, having the one buckle that is usually covered by the trouser can sneak itself up into the realms of elegant attire and I think that this one fact will help to increase it’s popularity with the masses whom need to wear suits to work. For the rest of us who simply just love dress shoes, well something new always takes the lead in popularity and I just happen to predict that with the Balmoral boot, the single monk will be at the top! As stated before, I too am plunging into the realm of the single monk and will be releasing my own version that is set to drop this March, along with my ecommerce site. 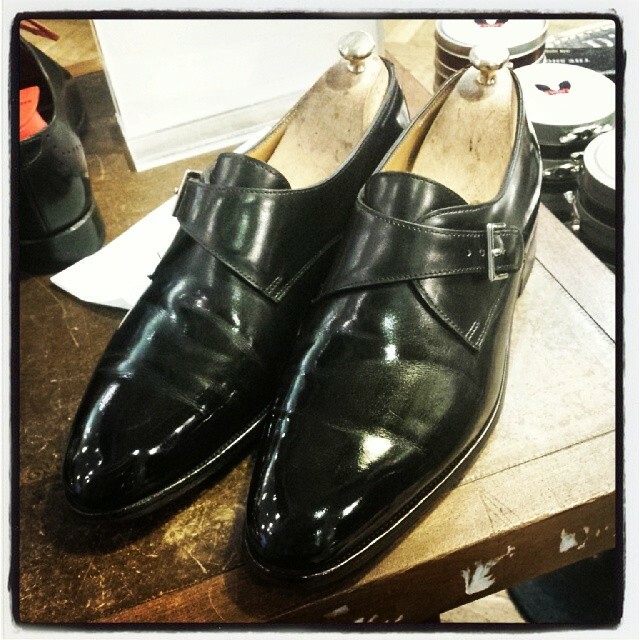 It will be coming in the black calf (as shown) as well as a dark brown suede….exciting things to come! 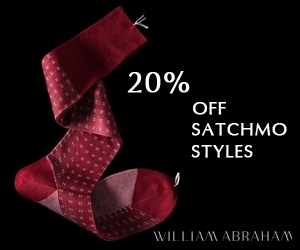 Saw double monks at Zara. Then I knew it was time to move on. I’ve seen double monks in the window of Clark’s ! I hate the phrase “jumped the shark” but it is appropriate. My wife actually bought me a pair of double monks this Christmas but sadly got the size wrong. Half a size too big, so they have to be returned. Not exchanged though, as I really am not crazy about them. The problem with double monks for me, is that the side without the buckles always looks unfinished, and a bit ugly. Most single monks can make it work, but not doubles. 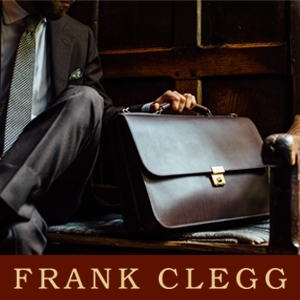 wow, double monks at Clarks is something to behold…I bet they were something awful! unfortunately there isn’t much you don’t see at Zara…. 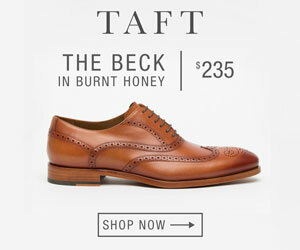 The first one by Dandy Shoe Care is from Berluti. 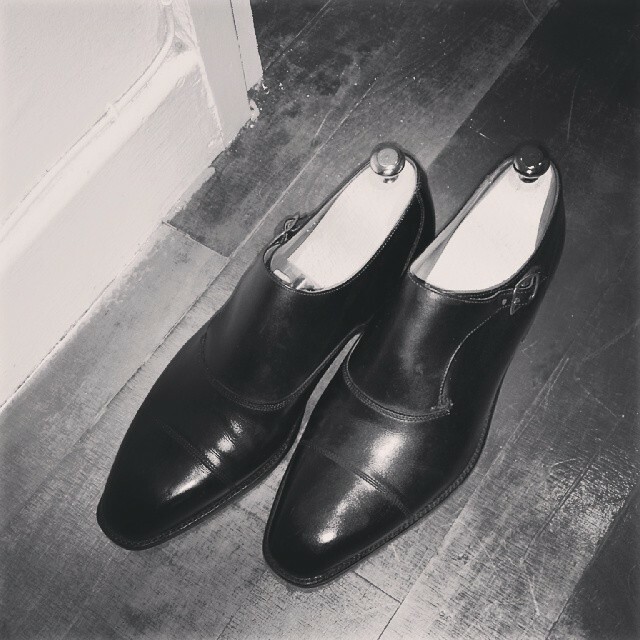 This post is one of the first examples where I think single monks look better than double monks. 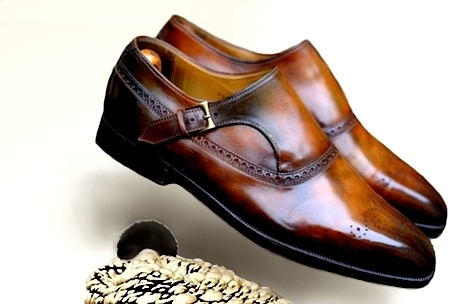 The problem in my opinion with single monk straps is that they often look like the example you posted from John Lobb, which I can’t find appealing. Every other pair posted has the design of a double monk with the simplicity of a single buckle which I think looks amazing. yea I think more older generation monks look like the Lobb one..but the new generation of them look more like the other examples in the post, which is better IMHO.